The Lyft IPO remains one of the most anticipated public debuts ever, though. At the end of 2017, Lyft announced that it had reached 500 million rides. It has also been chipping away at Uber's market share in the United States. At the beginning of 2017, Uber dominated the U.S. market with an 80% market share. By the end of October, that had fallen to 70%. A San Francisco–based ridesharing company, Lyft was founded in 2012 by Logan Green and John Zimmer. The two co-founders were no strangers to ridesharing apps. They began with a company aimed at helping college students connect for long-distance carpools, called Zimride. In 2013, the two sold Zimride to Enterprise Holdings for an undisclosed amount and decided to concentrate their efforts on Lyft. Considering the progress they have made in the past five years, it was a wise choice. The ridesharing company reported 53.3 million rides in 2015. It boosted those figures 136% in just one year to 162.6 million rides in 2016. And now Lyft is chipping into the market share of its main rival – Uber. Uber has faced a seemingly never-ending string of troubles over the past year and a half. Even with a new CEO, Uber is struggling with a negative reputation, and Lyft now claims a 35% market share. Lyft has modeled itself as the fun, friendly rival to Uber's troubled brand. Throughout 2017 and into 2018, more riders have become "brand aware" of Lyft, and this accounts for many of its new activations. Plus, Lyft is expanding internationally. Specifically, the company started operating in Toronto on Dec. 12, and Ottawa was recently added as well. Lyft is also forming some unique partnerships. In February 2018, the company partnered with Baltimore Bike Share to transform some of its bike-share stations into Lyft drop-off and pick-up spots. The company is also appealing to clients through its philanthropic efforts. When a rider pays for their fare, they have the option to "round up" to the nearest dollar to donate that difference to charity. In 2017, Lyft raised $3 million with this program. In its most recent funding round, Lyft brought in an additional $1.5 billion in financing, bringing its total from private investors to $4.3 billion. Some of those investors include CapitalIG, Rakuten, Canada's Public Sector Pension Investment Board, and Alliance Bernstein. 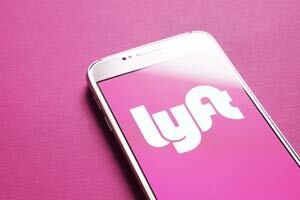 The latest valuation for Lyft is $11.7 billion, which is making potential investors anxious to buy Lyft stock. The Lyft IPO has seemingly stalled for years, but it appears that the company is still moving forward with its IPO plans. Even still, we don't know what the Lyft stock symbol is yet, and we won't know what the chosen Lyft ticker will be until just before the market debut, so the process is still in the early stages. The latest news we have is that the company was looking for an advisory firm last fall to help it choose underwriters for its IPO. Before you consider buying Lyft stock, however, Money Morning Defense and Tech Specialist Michael A. Robinson has some advice about IPO investing.